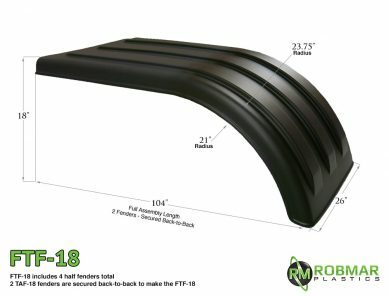 FTF-1827 | Full tandem poly fender set of 4 fenders. Covers 2 axles on both sides. Priced as a set of 4 fenders. 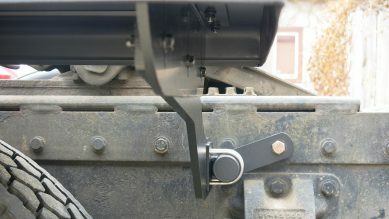 Install with MH-FT50 or MH-FT51 Mounting Kits. 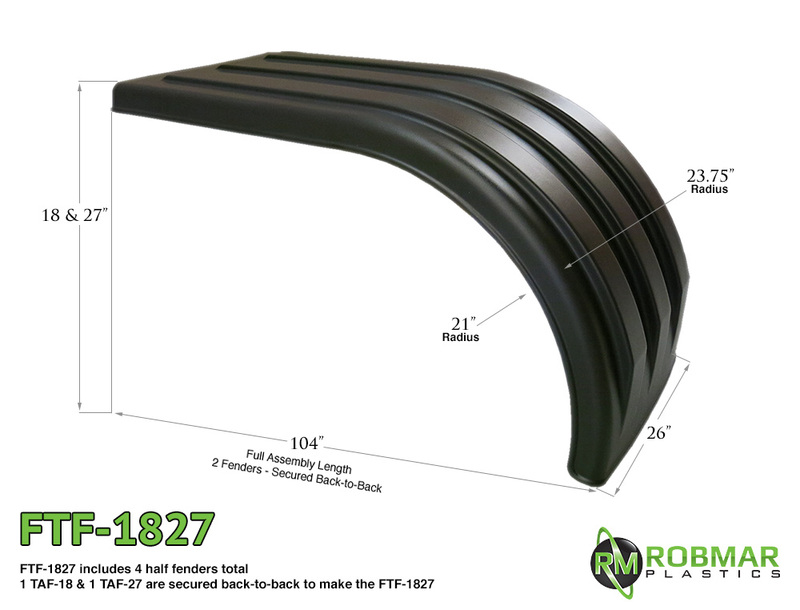 The FTF-1827 is a complete set of 4 fenders: a special configuration. This full tandem fender set is made by securing our TAF-1827 model fenders back to back. 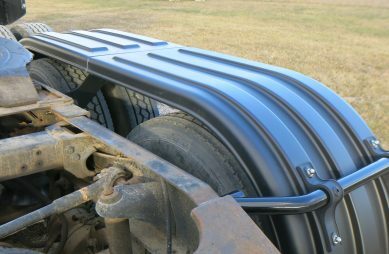 This provides full coverage on both sides of your truck for both axles – with an 18″/27″ drop! 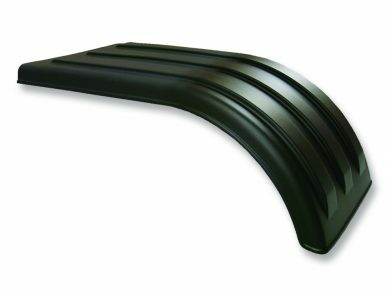 This kit includes powder-coated steel tubes (off-set), nylon hangers, and all other necessary hardware for installing a fender set [4 fenders]. This kit includes powder-coated steel tubes (straight), nylon hangers, and all other necessary hardware for installing a fender set [4 fenders].